Manufacturer of a wide range of products which include ptfe coated conveyor belts, ptfe coated glass mesh conveyor belt and open mesh conveyor belt. Our organization is engaged in offering our clients with a comprehensive range of PTFE Coated Conveyor Belts. Available from lightweight tear-resistant fabrics to heavier grade in the glass, these belts are widely demanded in the market. 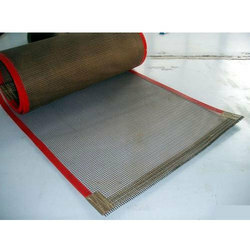 Gained prominence in the industry as an eminent manufacturer and supplier, we are engrossed in offering a commendable range of PTFE Coated Glass Mesh Conveyor Belt. To manufacture these belts, we have hired a team of diligent professionals who hold ample knowledge in this domain. 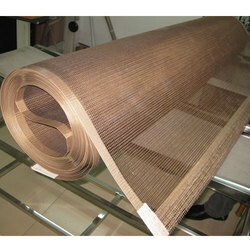 Specialized as a manufacturer, we are engrossed in offering our customers with Open Mesh Conveyor Belt. Our offered belts are applicable in screen printing, textile printing, relax dryers and shrink tunnel, owing to their various features. 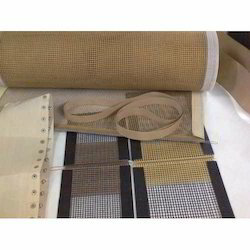 Besides, our quality controllers check these belts at various stages to ensure flawlessness.